A blend of Cabernet Sauvignon, Cinsault, Grenache, Syrah. Houchart Rosé has delicate citrus and strawberry aromas that carry onto the palate and develop into flavours of field berries, watermelon and mineral notes. 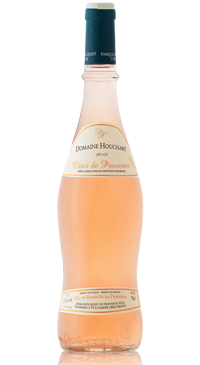 A quintessential provencal rose that is clean and refreshing. Enjoy as an aperitif, with smoked salmon, salads and pretending Spring is just around the corner!